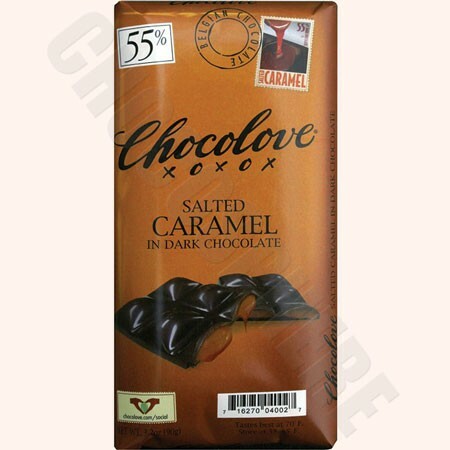 Chocolove Salted Caramel Bar. A smooth, semisweet chocolate filled with a luscious salted caramel. This melt in your mouth treat is sure to become your go to treat. Kosher-Dairy, Net wt 90g/3.2oz per bar.